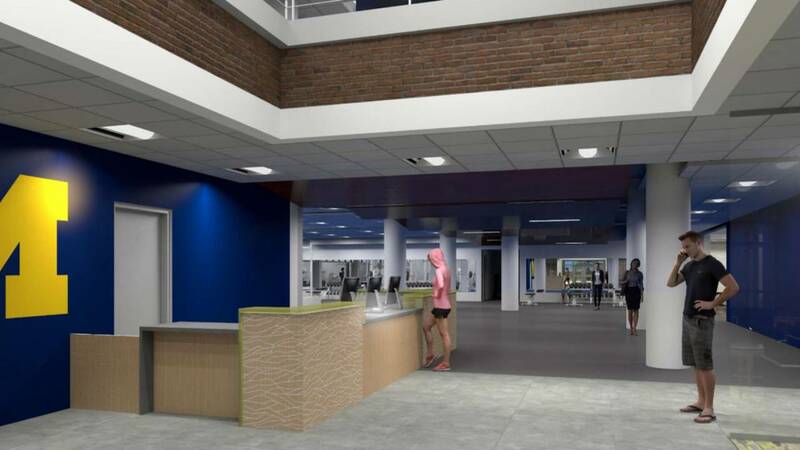 After 16 months of renovations, students, employees and U-M affiliates will soon be able to use the North Campus Recreation Building again. It will officially reopen the day after Labor Day, Sept. 4, at 6 a.m. According to the university, the construction "adds modern infrastructure and architectural updates, natural lighting, air conditioning and other features to enhance students' and members' overall recreation experience." Other highlights include a resurfaced running track and squash and racquetball courts with adjustable walls. Large windows in the second-floor cardio room will feature views of the extensive wooded areas of North Campus. Two open houses will be held on Aug. 29 from 4 p.m. to 8 p.m. and Aug. 30 from 9 a.m. to 2 p.m. 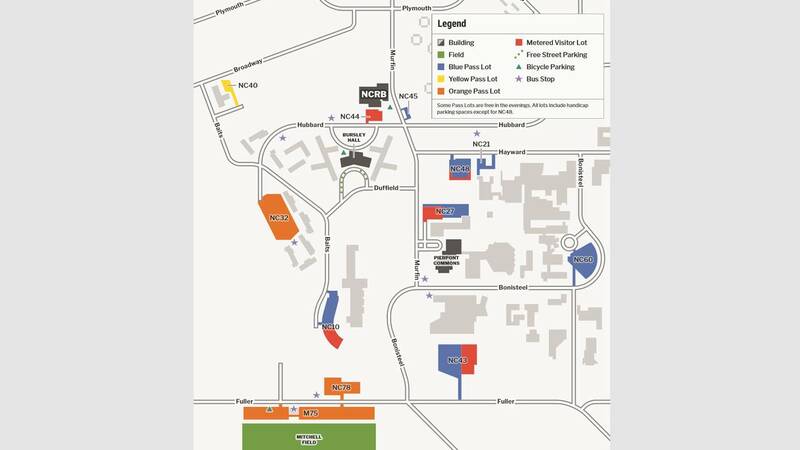 They will be open to students, Rec Sports members and the general public. During the open houses, visitors will be able to purchase memberships and lockers and tour the building. 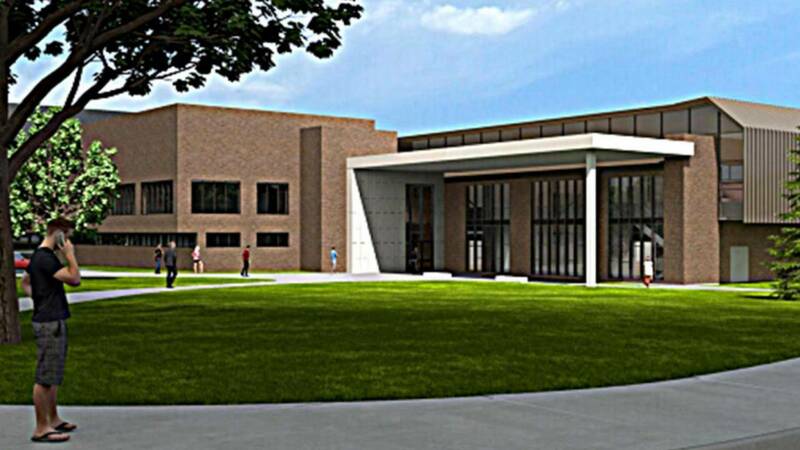 To celebrate the facility's reopening, the NCRB will be holding a ribbon-cutting ceremony on Sept. 27 from 3:30 p.m. to 5 p.m.
"The total cost of the NCRB renovation is $17 million. Funding comes from a student fee applied to all current U‑M students, along with additional funding from University Central Equity, Athletics, Logistics, Transportation & Parking, and Student Life. "All Recreational Sports and University Unions renovations are partially funded by a fee that each student pays as a part of tuition. Starting in Fall 2014, this $65/semester fee also allows registered U‑M students continue to receive access to all Recreational Sports facilities. This includes those with student financial aid budgets, which includes the renovations fee in the overall budget for tuition and fees." For more information, visit recsports.umich.edu/renovations/ncrb.